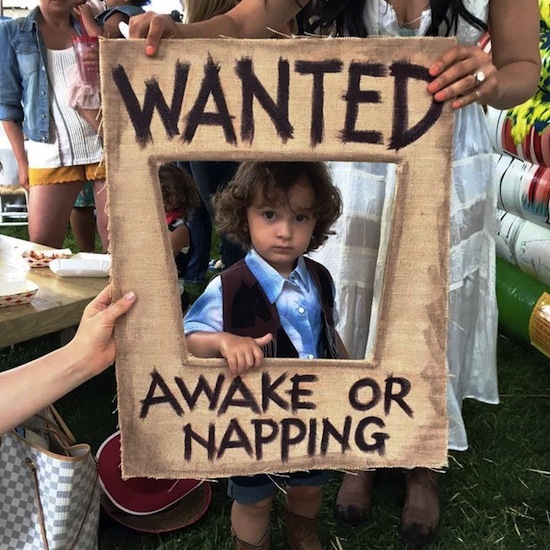 Jennifer is definitely a “hands on” mommy when it comes to party planning. She came to us with a fun vision in mind that we enhanced by seamlessly incorporating our clever custom entertainment elements, and fun interactive posing and station signs, with some of her cute Etsy and “Mom and Pop Shop” purchases. 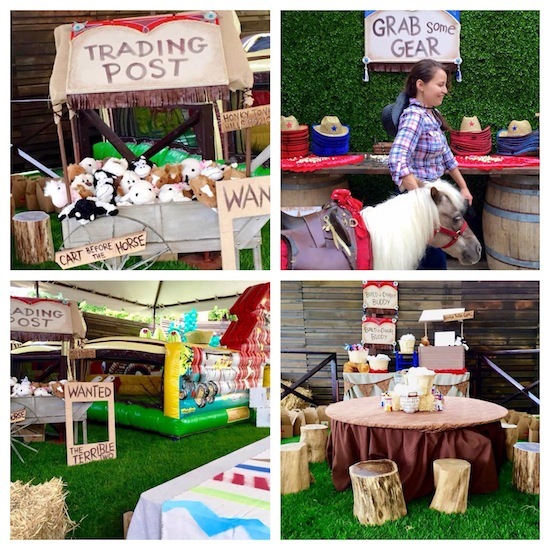 In addition to our unique entertainment elements—such as characters dressed in western wear, themed animals, custom crafts, live honky-tonk band, western town inflatable, and more—we also designed the logistics of the set up, choosing perfect rental pieces and hand-selecting our favorite artisan kiddie rentals to perfectly complement the theme! READ ON to see what Jennifer has to say……………. 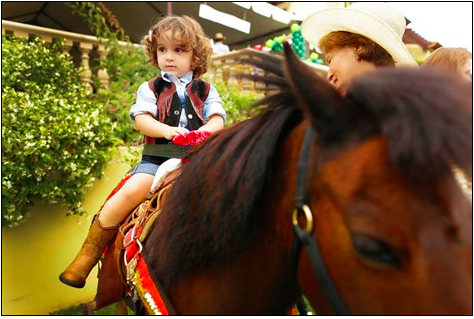 For Niko’s 2nd Birthday I decided to go for a Western Theme. 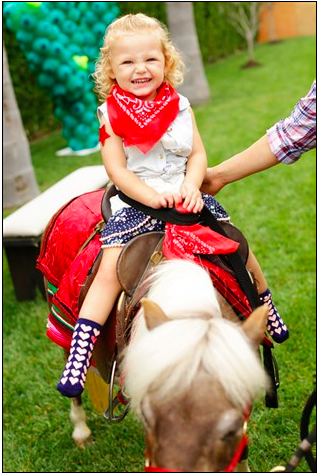 Below is a video from the party done by Kittie from Lori Dorman Photography. Leesa at Send In The Clowns has the most amazing booths and stations I could dream of. 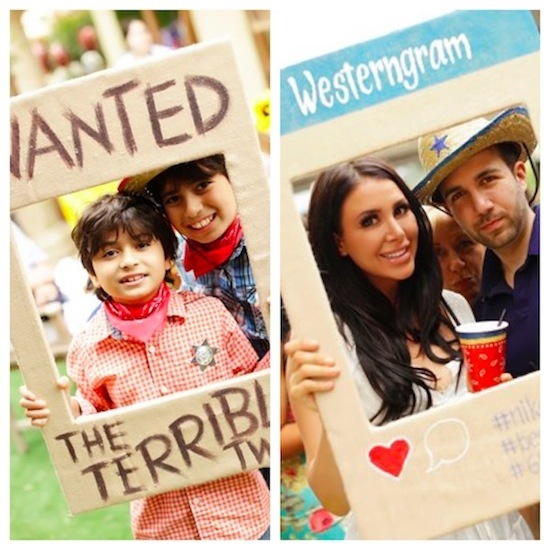 I did the Build a Bear station again this year as it was such a hit with Niko at his Carnival Party, only this time they had Western outfits to choose from and Western animals!!! 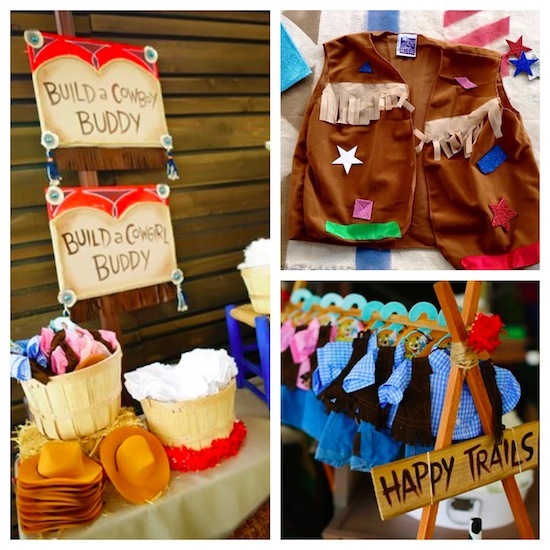 We also had a Cowboy Vest decorating station and a wooden Train and Cars station where the kids can “build” the trains or cars and then color them. This year I added an inflatable Western town. 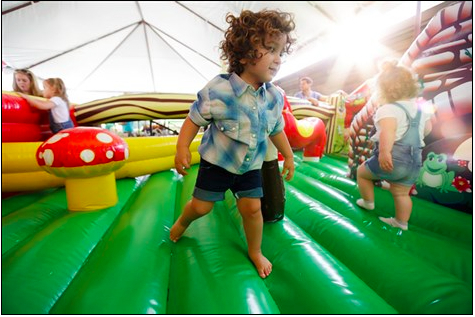 I always kind of steered away from having a “jumpy castle” because I felt like they are just filled with germs, BUT, I fell in love with this town and all of the kids really enjoyed it. I couldn’t get Niko out of it–and he didn’t get sick, LOL. Leesa also made a bunch of custom painted signs for the party and stations. 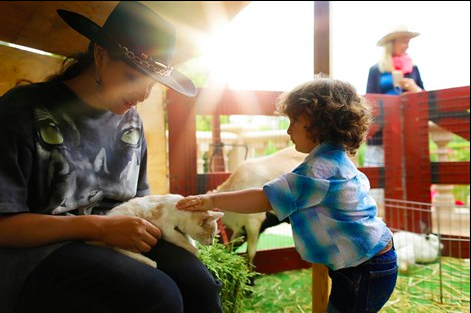 The Petting Zoo and Pony Rides were also a hit and I’m happy I waited for his second birthday to have them because I think Niko understood and could really enjoy and appreciate them versus when he was one.